The Waterview Tunnel is a key piece of the Western Ring Route, a 48km motorway route through the west of Auckland, connecting Manukau, the city, West Auckland and the North Shore. The 2.4km Waterview Tunnel between Pt Chevalier and Mt Roskill opened in July 2017, and cost $1.4b to build. 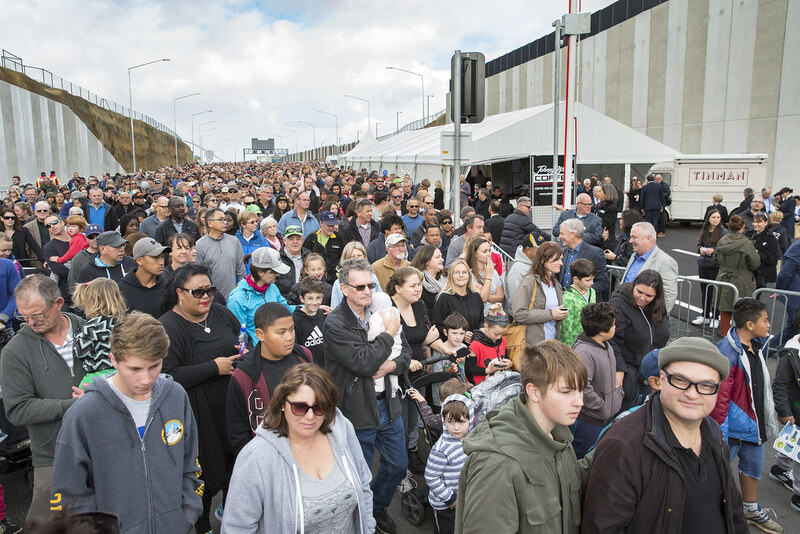 The Western Ring Route and Waterview Tunnel is a significant step in transforming the way people and freight move around Auckland and New Zealand. 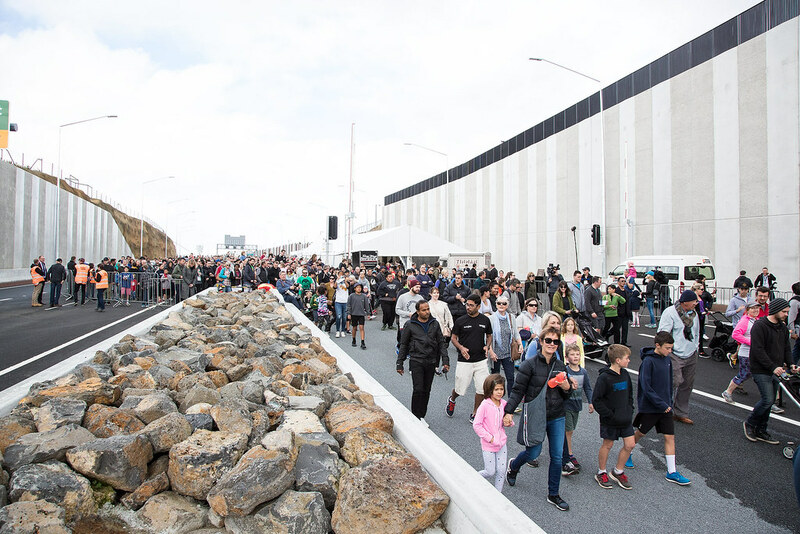 It represents the biggest change in travel patterns since the opening of the Auckland Harbour Bridge in 1959. Completing the Western Ring Route will create extra motorway capacity, ensuring thousands of vehicles can travel around the city. This will also free up local roads by transferring traffic onto the state highway network. Opening such a large piece of transport infrastructure means travel patterns will change. Some areas will benefit from reductions in traffic, although Auckland’s growing population means traffic will still be heavy in some areas at peak times. Provide more connections in the transport network, supporting growth and ensuring greater reliability and resilience. Create efficient links to and from Auckland Airport, Ports of Auckland and inland freight hubs and will reduce the cost of doing business in Auckland and throughout the country. Generate more transport options including bus lanes, and walking and cycling connections. Reduce traffic volumes on the key roads in the central Auckland area and along Great North Road travelling west. The local communities of Mt Albert, Mt Roskill and Mt Eden will benefit from reduced traffic on local roads. Provide a direct motorway link between the central business district and Auckland Airport with traffic modelling predicting a shorter journey time from the city to the airport. The Tunnel Boring Machine was specifically designed for the Waterview geology by the German company, Herrenkencht, and manufactured in China. The Tunnel Boring Machine was 87m long. For more tunnel facts check out this downloadable poster [PDF, 233 KB]. 5 deluge storage tanks each containing 250m3 of water for fire control. Each deluge set will supply 10mm of water per second inside each of the 173 zones of the tunnel. Each zone is located every 30 metres in the tunnels. 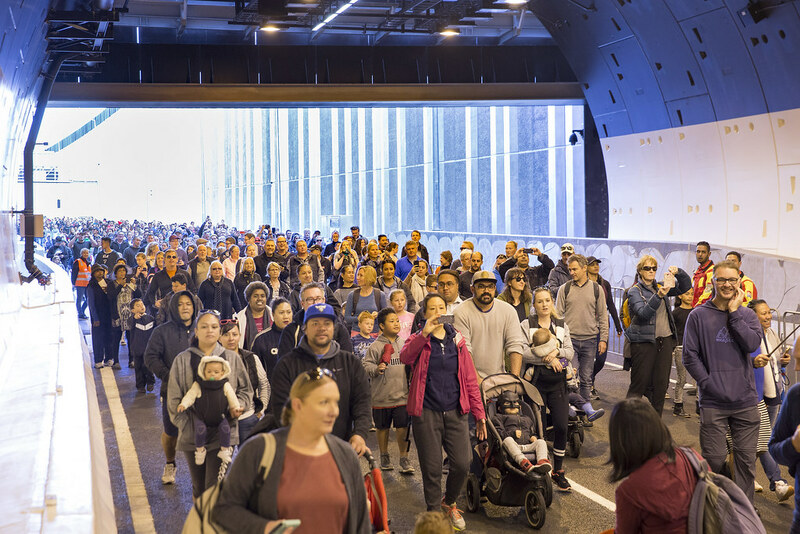 From time to time the Waterview Tunnel will require maintenance which may mean partial or full closure. Any planned closure of the Tunnel will be advertised well in advance and generally happen between the hours of 10pm and 5am. The detour route will be clearly marked.